Let’s start this week’s Best of the Week with Football in Kabul, because it’s amazing, and I encourage you to read it. In other news, it’s been a slightly weird week here in DC. 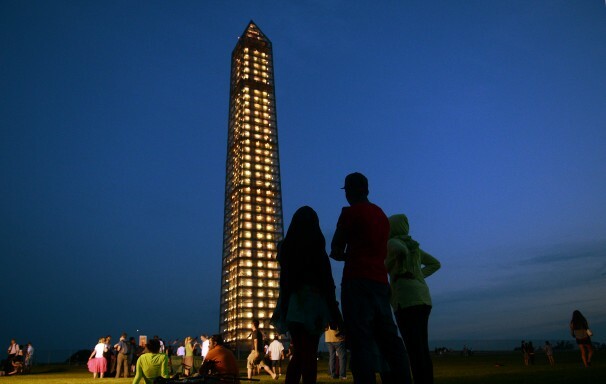 On the mostly awesome and not so weird front, the Washington Monument is now aglow. 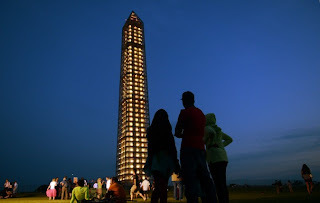 It would have been amazing if it was lit in time for July 4, but, alas, it wasn’t to be. But, I must say that driving into DC at night is a lot cooler now. 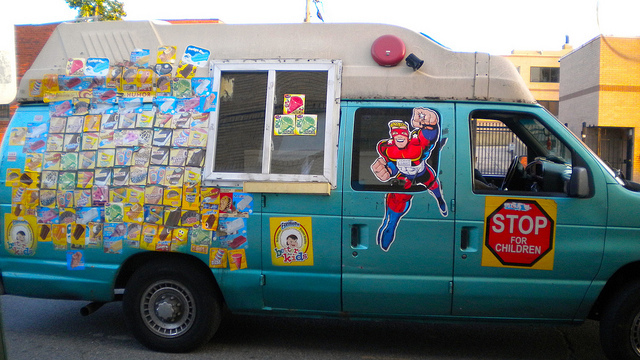 On the mostly weird and not at all awesome side of things, someone car-jacked an ice cream truck this week. Yes, you read that correctly. 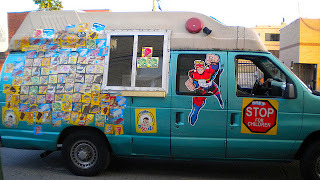 An ice cream truck. Like an ice cream truck that sells cold, delicious treats. Someone car-jacked one of those. You’re better than this, DC. Oh, hey, let me just car-jack this ICE CREAM TRUCK. Also, this guy’s back in jail, and not a moment too soon. I guess that whole let me take video of myself possessing a loaded gun in Freedom Plaza and post it to the interwebs thing didn’t work out for him. Oh, and turns out the drugs didn’t help his case at all. 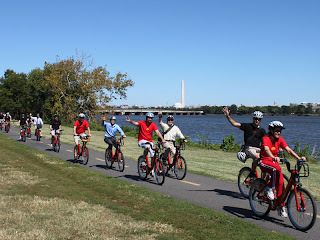 Regular readers know that since I’ve taken over the Best of the Week while Mollie’s off adventuring, I’ve used it as a platform to encourage folks to bike DC. We live in a city that is pretty bike accessible, and we might as well take advantage of it! But I’m also aware that biking can seem scary. I got my start on the streets of Boston, so I’m probably not as sensitive to the “I don’t want to get hit by a car” factor as I should be. That’s why this map is amazing! 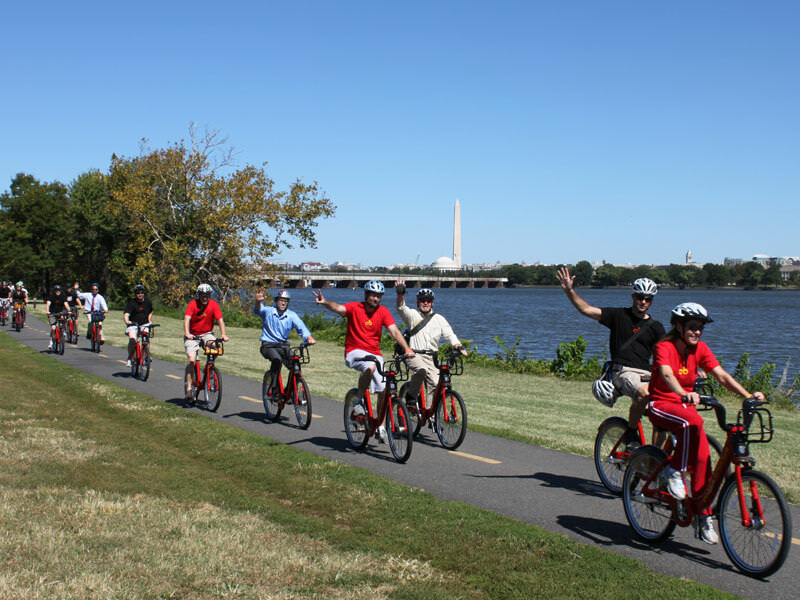 It’s filled with reader-contributed helpful hints that make biking around DC easier (read: more convenient and less sweaty). Changing gears (bike metaphor, get it? ), I, for one, love shameless corporate sponsorships and product placement (my shameless promotion of bikes (see above) probably clued you in to this long ago). Will Smith’s sunglasses from Men in Black? Fantastic. James Bond reaching for a Heineken instead of a vodka martini, shaken, not stirred? Even better. This scene from Talledega Nights: The Ballad of Ricky Bobby? The pinnacle of cinematic achievement. Well, there many things that make this scene amazing, but the shameless product placement is one of them. And so I was interested to read this week that health insurance companies might be next up in the product placement bandwagon. "Their product is essentially the same," he said. "You cannot really differentiate one insurance company from another. But you can differentiate who has the wackiest mascot, or scenarios that are fun to watch." Essentially, Percelay says, we may soon see health insurance versions of the Geico gecko. Speaking of health (kind of), the human body is a beautiful thing. The professional athlete’s human body? An even more beautiful thing. And that’s why The Body Issue, in which professional athletes show off their naked professional athlete bodies, is, without question, your BEST OF THE WEEK!